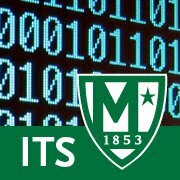 To download your Google Doc, Sheets, Slides document as a Portable Document Format file (PDF) so it can be printed using Web Print at Manhattan College, select File > Download as and select PDF. Please see this Knowledge Base Article for instructions on printing wirelessly at Manhattan College using Web Print. To convert a Word Doc to PDF using Microsoft Word on Windows: Select File > Export > Create PDF/XPS Document and select the Create PDF/XPS Document button. To convert a Powerpoint to PDF using Microsoft Powerpoint on Windows: Select File > Export > Create PDF/XPS Document and select the Create PDF/XPS Document button. To convert an Excel spreadsheet to PDF using Microsoft Excel on Windows: Select: File > Export > Create PDF/XPS Document and select the Create PDF/XPS Document button. Besides File Format you will specify PDF as the File Format that you would like to export to. When you are finished, select Export. Assignment: Create a Google Doc and convert it to PDF. Extra Credit: Print that document using Web Print on campus.